In order to use the new feature, Echo owners have to open the Amazon Alexa app on their phones and import their contacts, after which they are stored in the Amazon cloud. Amazon then offers up a list of who among their contacts is an Echo owner, and automatically makes all of them part of their network, rather than letting them choose who they actually want to connect with (as most other companies do). Amazon assumed this was the best way to organize its network, apparently not realizing most of us have tons of strangers and randos in our phonebooks. My own list included a couple of ex-boyfriends, a person I stayed with once on Airbnb, current co-workers, former colleagues, and a U.S. senator’s press secretary, who would probably be surprised to learn I knew she had an Echo because I’ve never actually called or talked to her. There was not a single person on the list whose Echo I would want to call. Instead, it was an uninvited look into the consumption habits of the sundry individuals whose numbers have made their way into my phone over the last 15 years. But Echo users had more immediate concerns when the feature came out. Amazon, new to the social networking game, didn’t realize that some users in its network might not like other users. 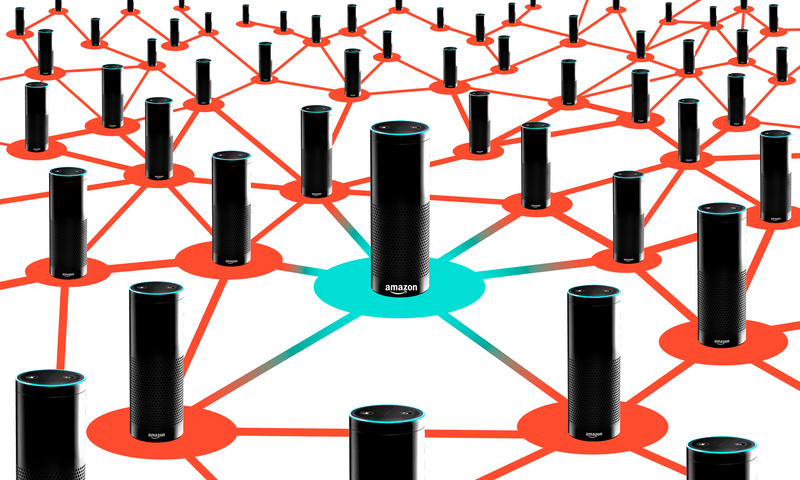 Those who first turned on Alexa calling, like Elise Oras, discovered that they couldn’t block people from calling their Echo. And once they discovered that, they discovered they couldn’t easily leave the social network. There is no delete button. To exit AmazonEchoverse, you have to call Amazon Customer Service and get a real live human being to turn off the feature.